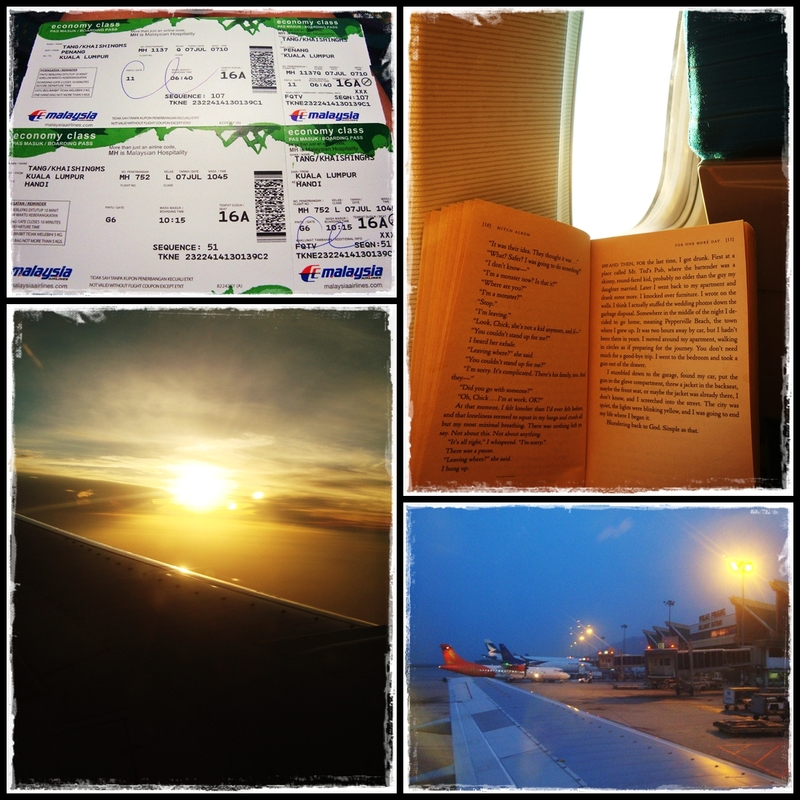 Heading off solo...first vacation all by myself. This explains why there aren't a lot of pics of me. 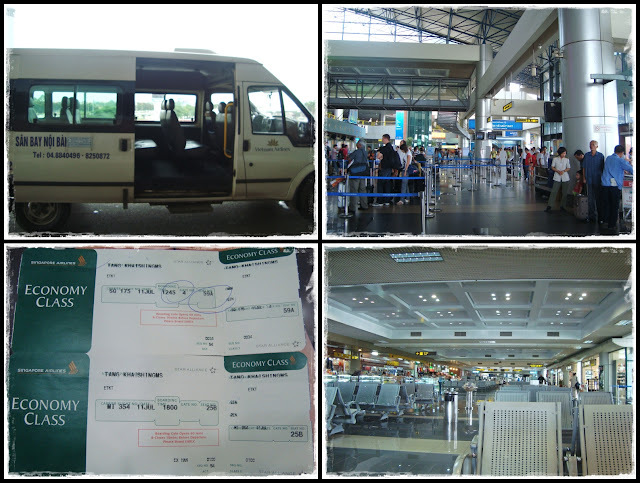 Arrived Hanoi Noi Bai airport at noon and was welcomed with 35 celsius heat. =.= VietAnh and her cousin came to the airport to meet me and we took a public bus (w/o air-con) back to the city together...a truly local experience...haha!! It has been 2 years since I met her and we've got so much to catch up so we were talking all the way in the bus. Some other passengers were staring at us as if we were aliens and one lady even told my friend in Vietnamese asking us to shaddup...lol!! Well that's not very nice but I can totally understand that coz tourists don't usually travel by public buses and the locals from outskirts are not very comfortable with people speaking in languages that they don't understand. Another truly local experience...rode on a motorbike on the streets of Hanoi!!! 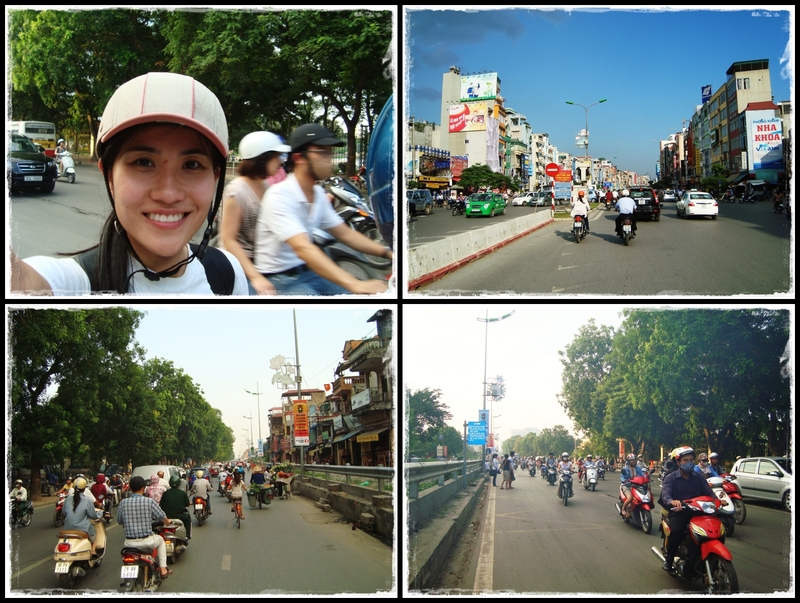 There were soooo many motorbikes and the traffic was crazy. They could do a u-turn almost anywhere on the road. Everyone keeps honking I dunno for what and some honks even had echoes. =.= Crossing a street was almost mission impossible...I could hardly find a gap to cross the road safely. 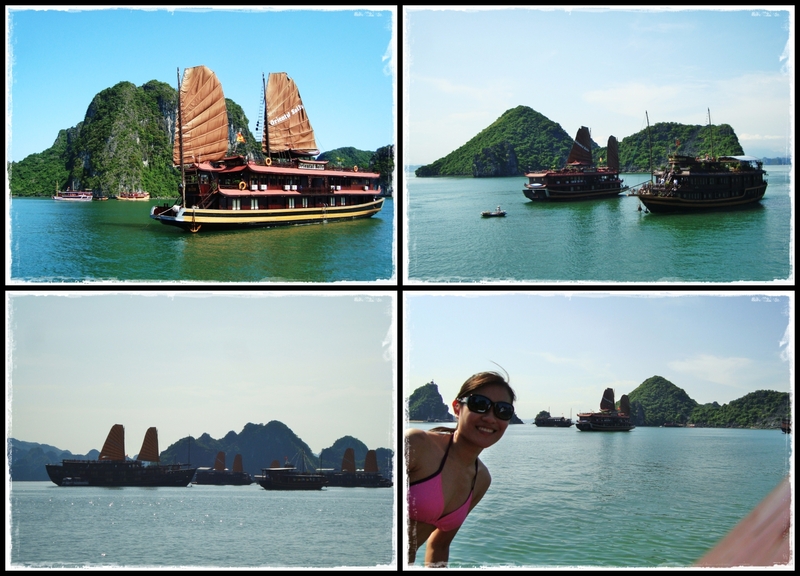 This was my accommodation for this Hanoi trip...nice house with nice view. The houses in Hanoi are narrower but taller...theirs had 5 floors. =) Million thanks to Hang for hosting me. 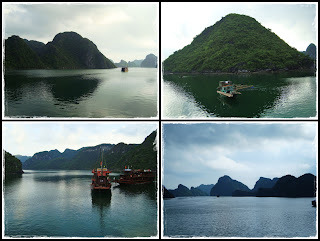 Woke up early and had Pho (again) for breakfast with Hang's dad before he dropped me off at the meeting point for my 2d1n Spectacular Halong Bay tour. 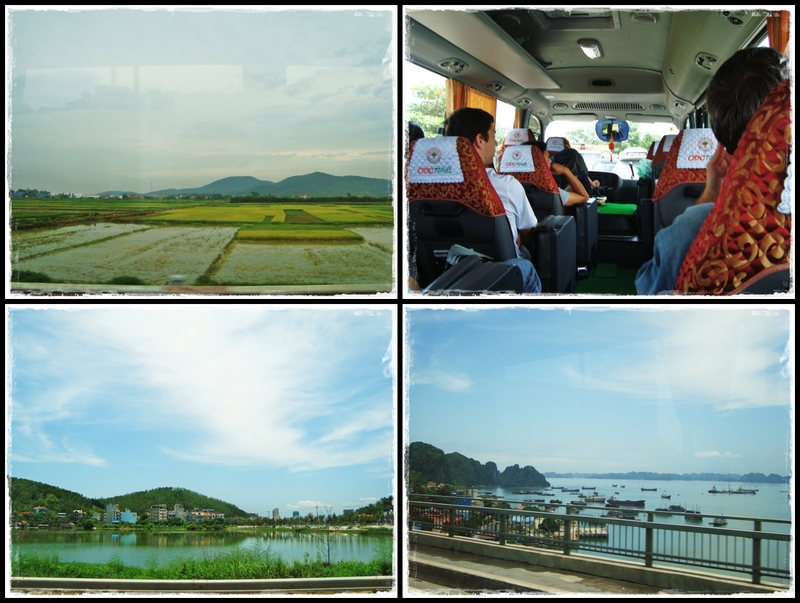 The journey from Hanoi to Halong took 4 hours and all we saw was fields after fields!! 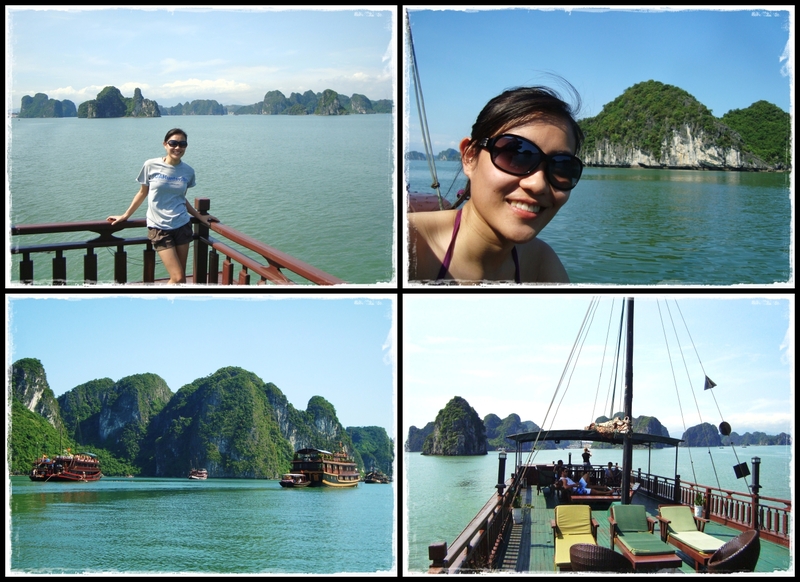 There were a total of 11 people in our tour group...mostly angmoh apart from a Vietnamese American & I. 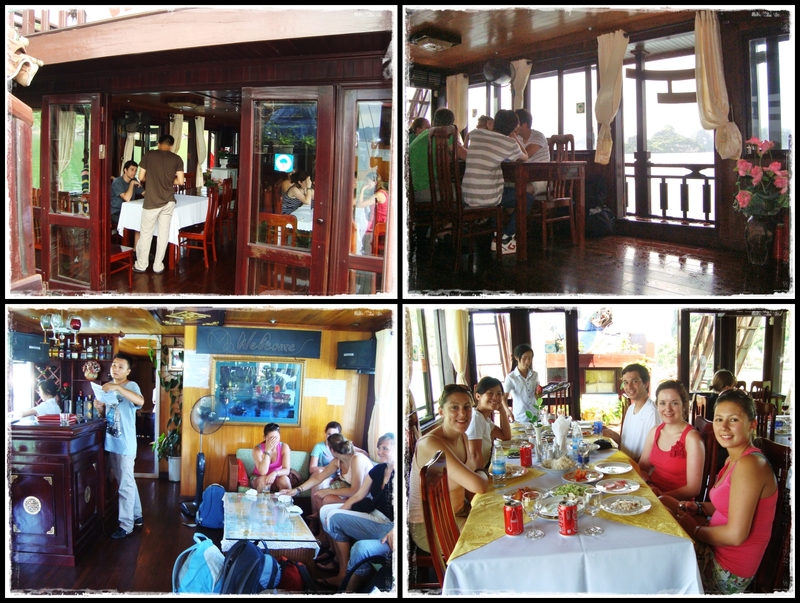 Most of the angmohs were traveling all around Southeast Asia so they were sharing and exchanging info among each other. It was pretty interesting listening to the conversation between 3 Irish girls and an Australian-Canadian couple. Tadaa....my room on the junk!! I paid $10 extra for single supplement and got to enjoy this whole room for myself. =) Nice view from the window too!! 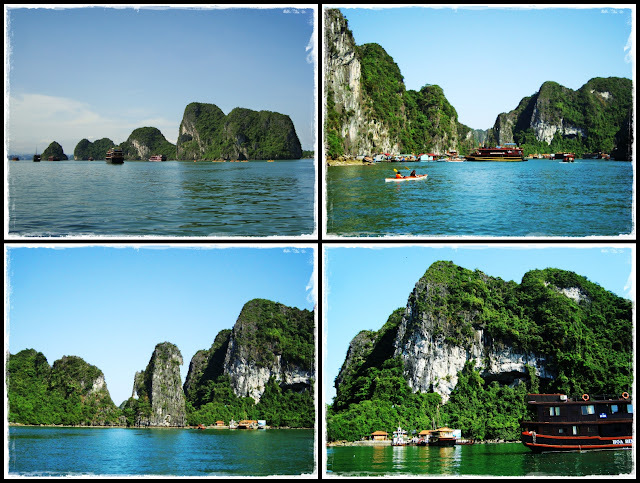 Countless limestone karsts and isles in various sizes and shapes as we sail through Ha Long Bay. All I can say is pictures really don't do justice to the beauty of this place. It was so relaxing enjoying the sun, breeze and scenery...absolutely breathtaking!!! 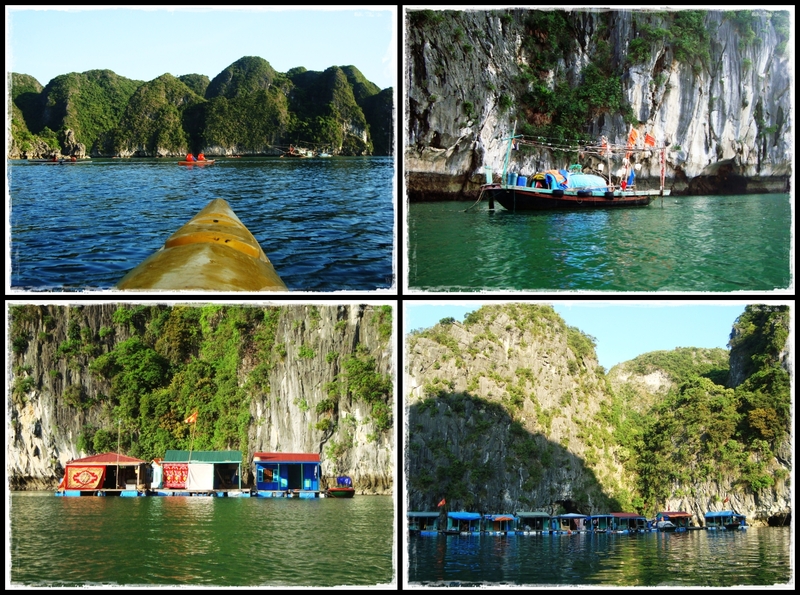 Another thing that complements this amazing scenery is the traditional chinese style junks. 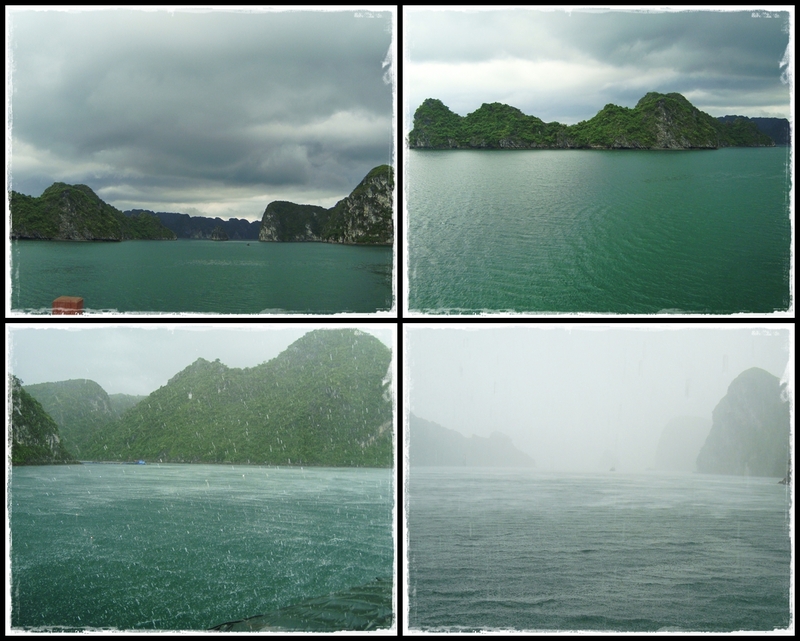 Visited Halong Bay's largest cave...Sung Sot (Amazing Cave). 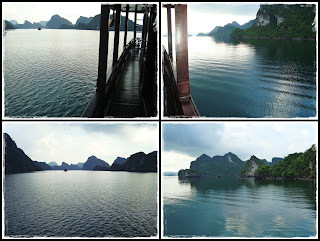 View of the bay from the cave. We were given an hour to kayak aimlessly...luckily the one who was kayaking with me knew how to kayak or else I would be exhausted. 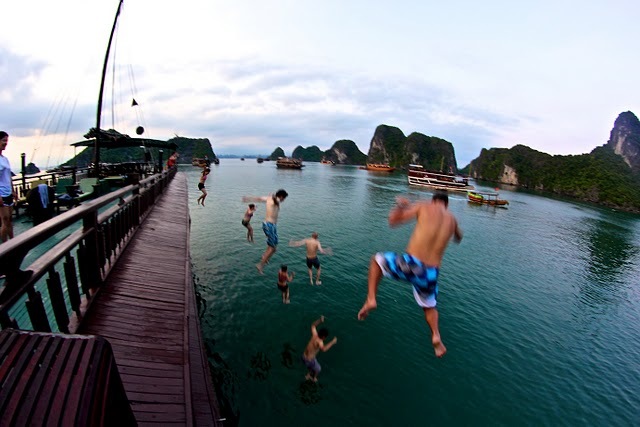 Our tour guide suggested us to all jump together...I'm the one at the furthest end. Credits to Kayla for this AMAZING pic!! She's currently traveling around SEA...checkout more pics on her blog. 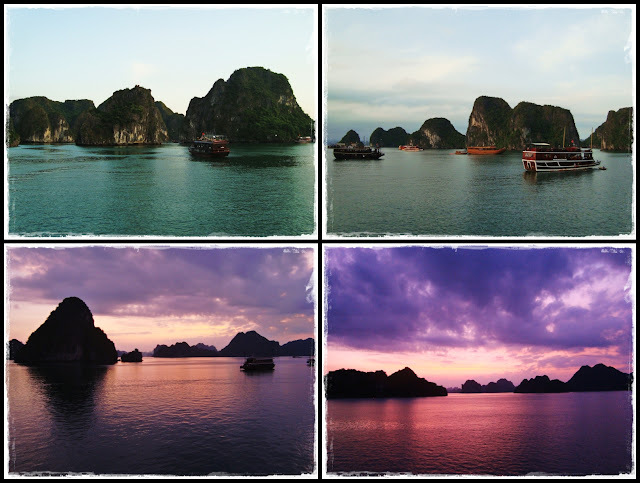 Enjoying the dusk before the bay fades into total darkness. Demonstration of how to make Vietnamese spring roll before dinner. 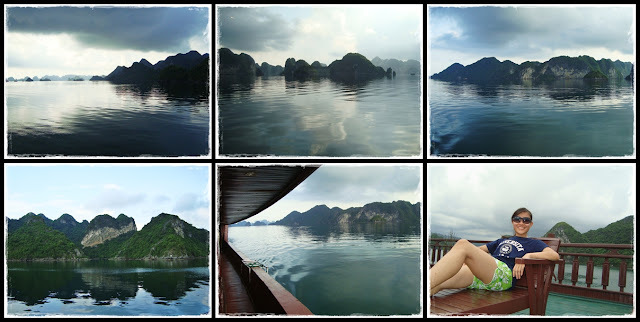 Woke up at 5am hoping to see sunrise but our boat was anchored at a very 'strategic' location. An isle totally blocked my view. 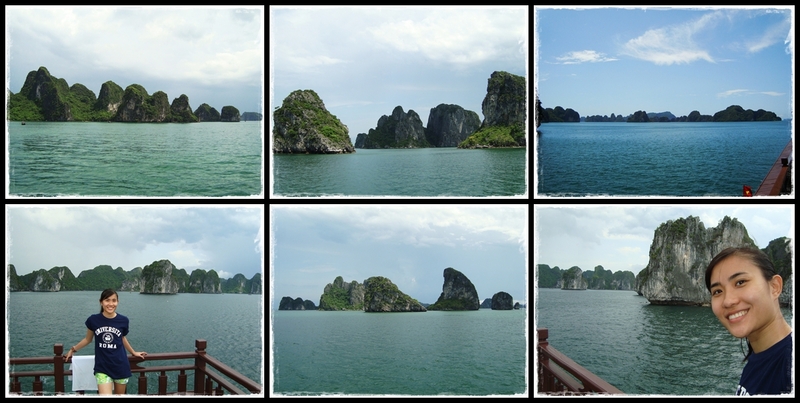 =.= Instead of sunrise, I saw rainbow. Chilling at the sundeck for the rest of the tour. After lunch, it was time to say goodbye to tranquility and head back to the hustle and bustle of Hanoi. Thanks Hang!!! =) We were supposed to meet up with VietAnh but she couldn't make it for the dinner. It was pouring again so we took a cab to the Old Quarters for lunch. More Vietnamese food...woohoo!! 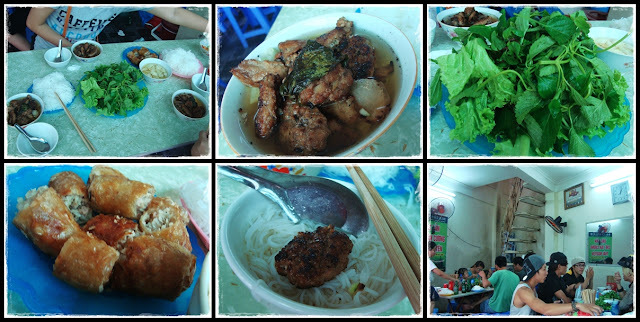 This is Bun Cha (grilled pork with noodle). 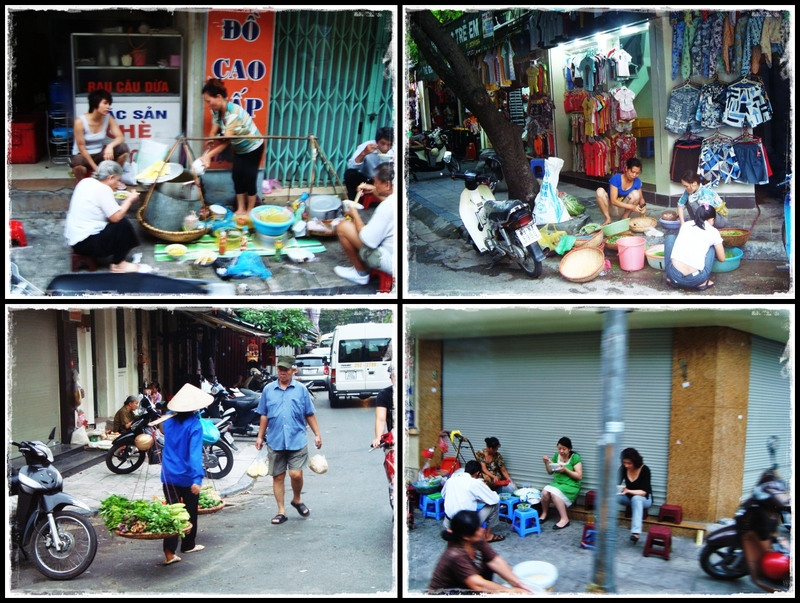 Hanoi used to be an administrative center for the French colony of Indochina and the buildings are very much influences by the French colonial architecture style. I was expecting the Old Quarters to be sort of like the French Quarter in New Orleans but it was nowhere near...haha!! It was more like the old small streets in Georgetown. 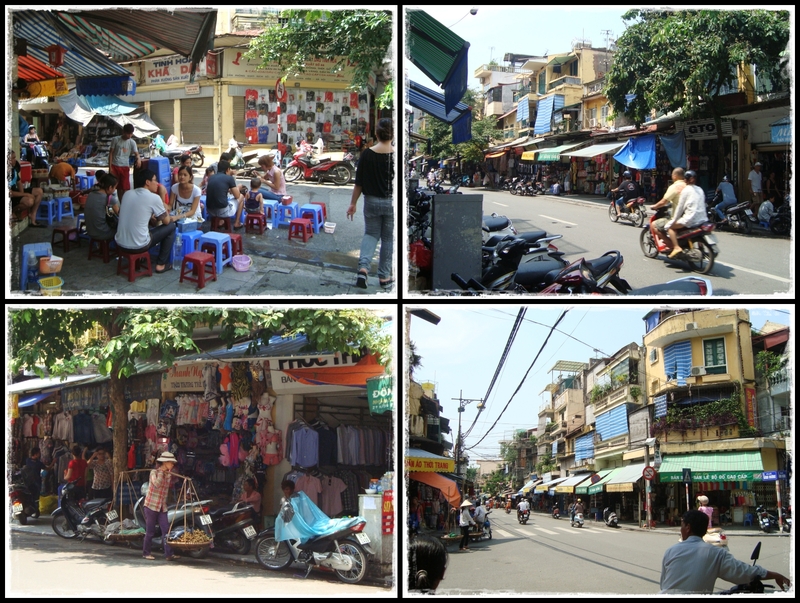 I didn't get to take pics of these French style buildings in Hanoi so got these from internet instead. 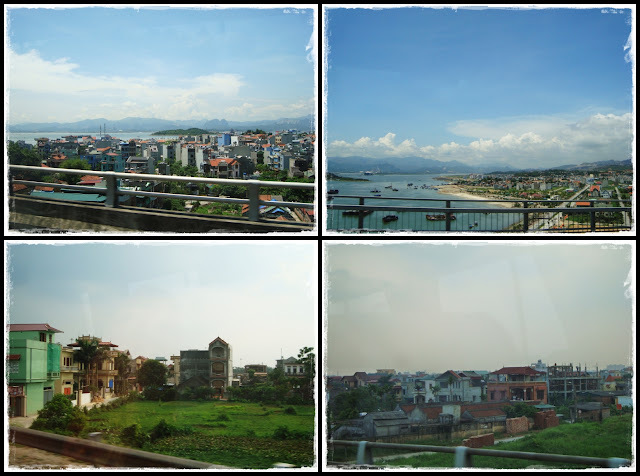 I wanted to go to the Hanoi Opera House (left pic) but didn't coz it was raining already. It looked quite similar to the National Opera House I saw in Paris. 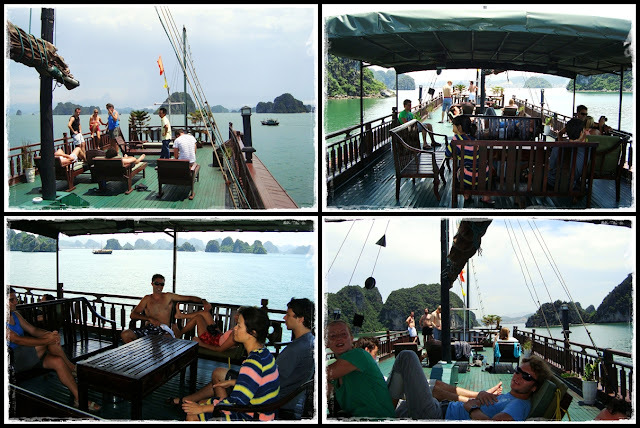 Big thank you to Hang & VietAnh for being such great hosts!! 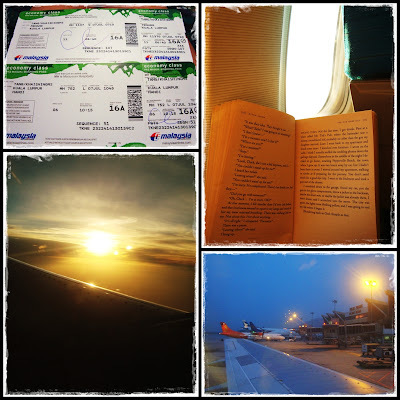 =) I would be more than happy to host when y'all visit Malaysia! 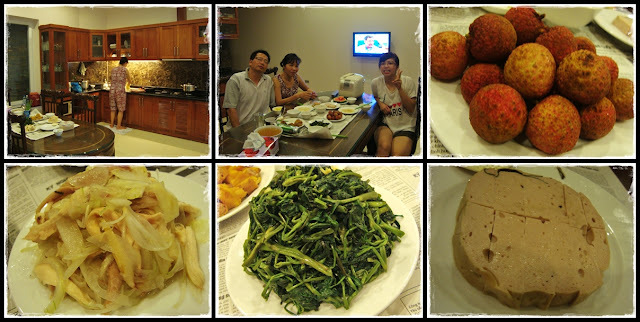 Another truly local experience...a meal with Vietnamese family. =) Had Hoi An chicken that Hang made, kangkung, gio & lychee! Guess what I was watching on Singapore Air?